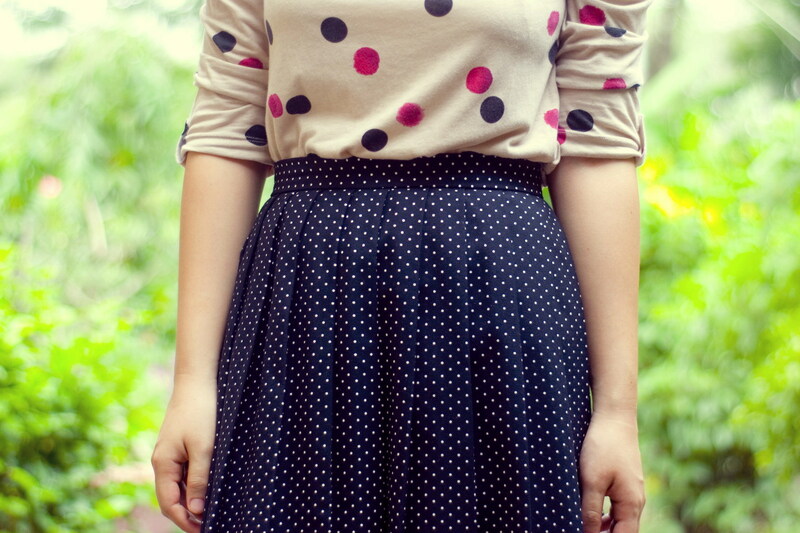 Great outfit, I love the dots on dots here. 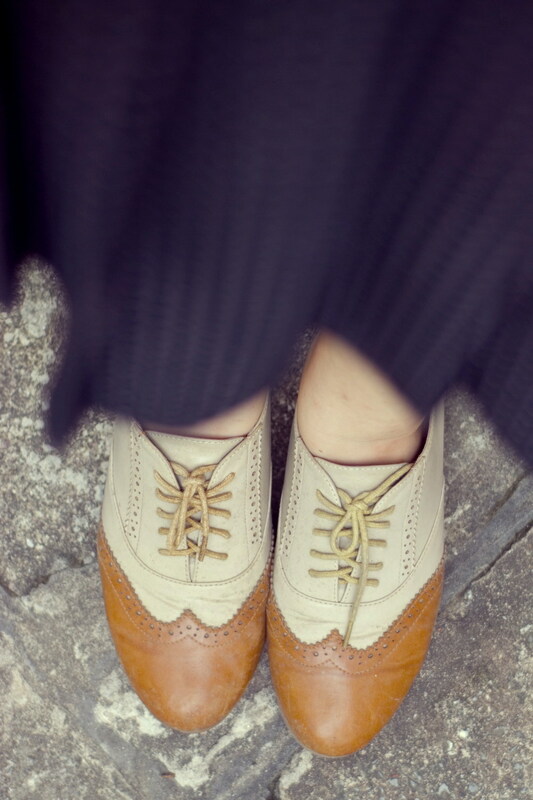 I’m also a big fan of oxfords! 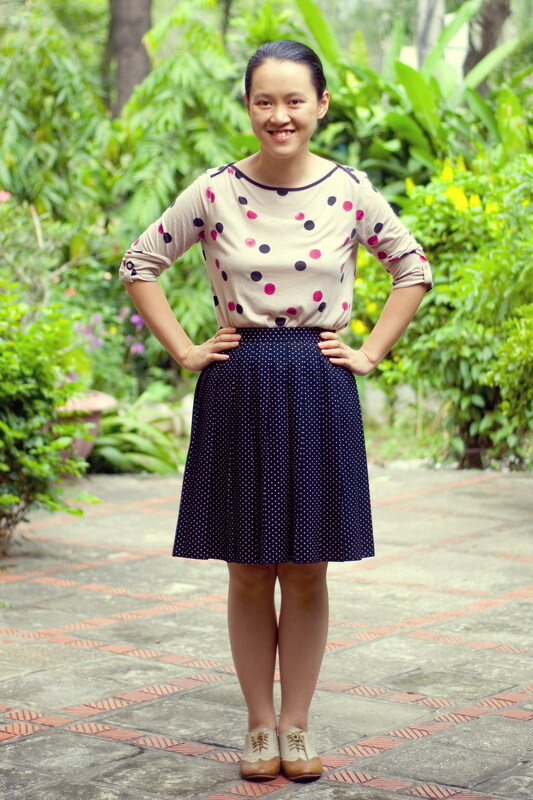 LOVE LOVE LOVE this outfit! 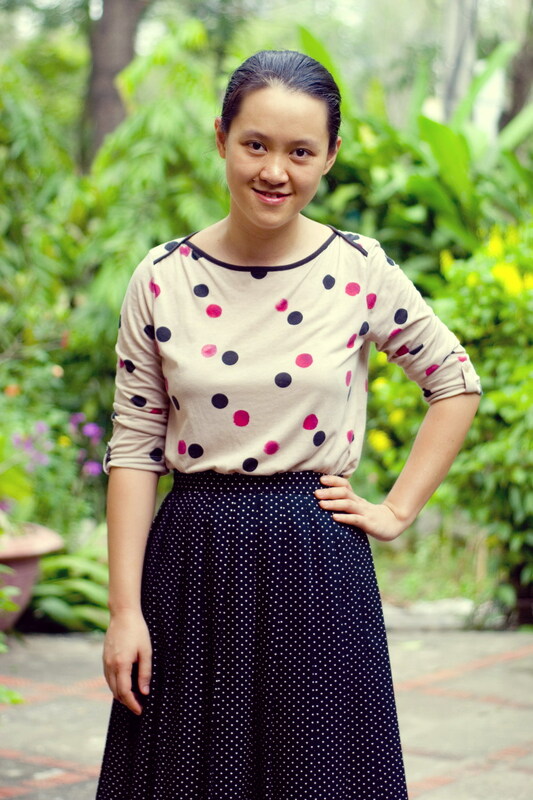 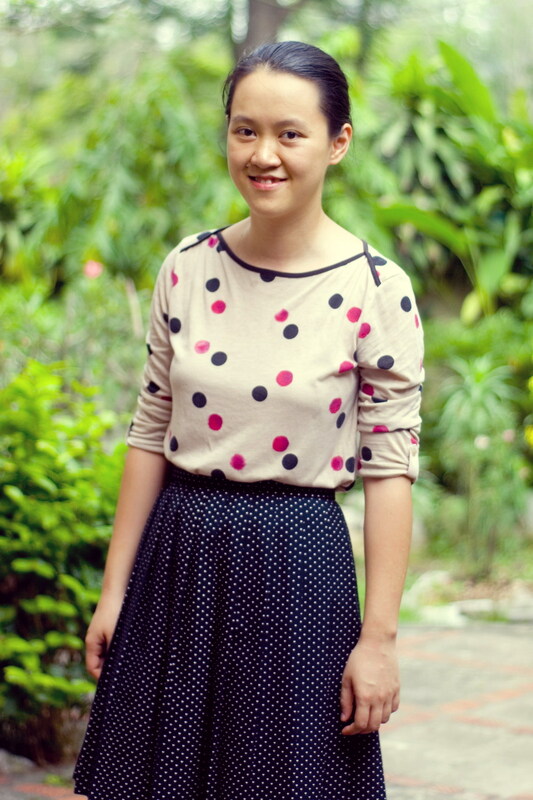 The large polka dots paired with the smaller ones is so cute!